First Van Morrison slags off The Beatles, and now Trent Reznor is laying into Chris Cornell. Only Reznor is doing it the hip, hi-tech way, using Twitter to slam the former Soundgarden/Audioslave singer. "You know that feeling you get when somebody embarrasses themselves so badly YOU feel uncomfortable? Heard Chris Cornell's record? Jesus," Reznor wrote, coming just 4 numbers shy of Twitter's 140-character rule. 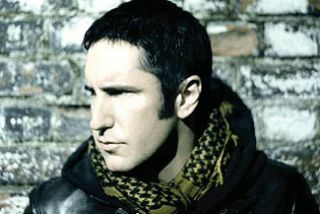 What possessed Trent Reznor to publicly diss Cornell's new album Scream, we're not sure. So far, Cornell, who has his own Twitter account, hasn't responded in kind - or at all. In fact, his last Tweet was "I pushed for another day for $2.99 per album download on Amazon so check it!" Below that, he had some interesting musings on buying groceries and the rain in Paris reminding him of Seattle. But nowhere does he thrash any of Reznor's records, say nasty things about his dog, or anything else that could've provoked the NIN man's ire. Things are quiet now, but you never know, this could be the start of a Twitter rock war. Stayed tuned to MusicRadar for a ringside seat. We'll let you know if any Tweet body blows are scored.